According to a report by CoreLogic, the share of cash-out refinances, particularly among fixed-rate borrowers, suggests the desire of homeowners to access cash by borrowing against home equity. Out of the currently active loans that were originated in 2013, 47 percent accounted for cash-out refinances. The next largest mortgage purposes-consolidation, and rate/term reduction loans, accounted for 21 percent and 16 percent, respectively. Interestingly, Adjustable-rate mortgages (ARMs) is the most preferred option for those financing luxury homes. Data revealed that 76 percent of borrowers refinancing ARM loans opted to go for another. Thirty-one percent of the fixed-rate borrowers switched to an ARM with a median initial interest rate at 3.25 percent. The adjustable period for these will begin by Q3 2024, the report said. 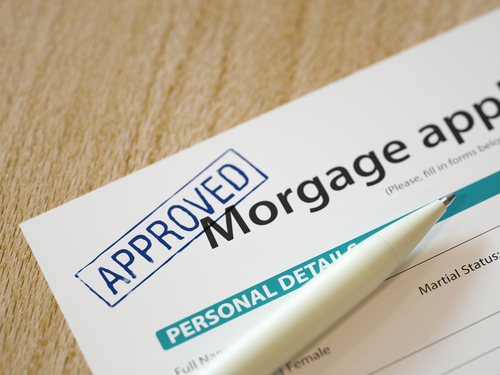 The report stated that out of 230 total active “super” jumbo mortgages, 75 percent were originated since 2013. Refinances account for roughly 180 of the total count, and 74 percent of these were also originated since 2013. “The share of refinances highlights the likely motivations of these wealthy homeowners,” the report reads. Low interest rates and rising home values have driven refinance activity since 2013. Based on its public records data, a cluster of active-mortgage loans that have origination amounts between $10 million and $20 million in recent years. CoreLogic’s data points out that a few borrowers took advantage of the lower interest rates in refinances. Expiration of the fixed-rate term on the preceding ARM may have acted as an incentive to refinance, the report stated. However, it indicated that borrowers were able to capitalize on lower interest rates before the first adjustment—wherein half of the borrowers refinancing ARM loans before the first adjustment were able to obtain lower interest rates, decreasing their interest rate by an average of 70 basis points. The average increase in original principal balance for loans identified as cash-out refinance was $6.6 million. The report found an average refinance origination amount exceeded the prior mortgage amount by $8.3 million last year. In the fixed-rate category, the 15-year term was the most popular with fixed-rate loans, followed closely by 30-year, based on CoreLogic public data. California topped the “distribution of cash-out refinance mega loans outstanding by state list with a cashout-refinance share of 55 percent. Florida, Massachusetts, Connecticut, NewYork, Texas and all other states accounted for 92 percent of all cash-out refinance mega loans.